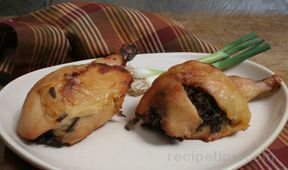 Marinated chicken breasts that are then stuffed with stuffing and cheese. Easy yet elegant. Great served with steamed vegetables. 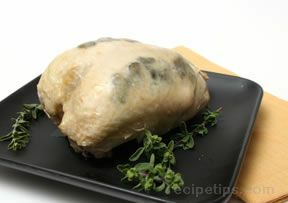 Place chicken breasts in zipper bag with Italian dressing. Refrigerate for at least 2 hours. Cut a slit in the chicken breasts, being careful not to cut all the way through. 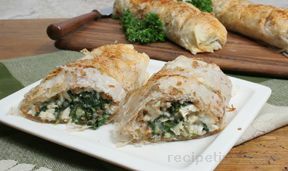 Stuff with prepared stuffing and top each piece with a slice of chicken. Drizzle with melted butter.Dip chicken in melted butter. Bake at 350Â° for 45-50 minutes. 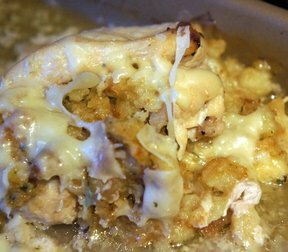 "The picture doesn't do this recipe justice. It really is a tasty recipe! I served this to some guests and everyone loved it."